Since Candy Crush Jelly Level 1 is an introductory level to Candy Crush Jelly, it is not daunting to complete. Do not worry about looking for the intensified moves thus wasting your time. Take advantage of the readily available opportunities. However, make an effort of matching candies that are on top of the jelly to spread it quickly hence moving to the next stage. You are also advised to match candies near the bottom since it will shift a large number of candies across the playing field. If a chain of reaction is activated, then the jelly will be spread without much effort. The shift also helps to create some opportunities to make special candies that can be utilized wisely to complete Candy Crush Jelly Level 1 within the stipulated moves. Are you more of a visual learner? 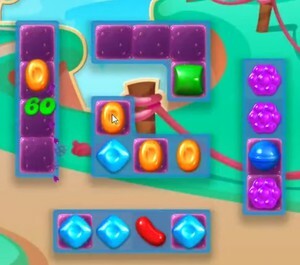 Watch this gameplay video for Candy Crush Jelly Level 1 to help you beat the level. Notice the different strategies this player uses to improve your Candy Crush Saga game.